HKS USA Closing their U.S. Doors. 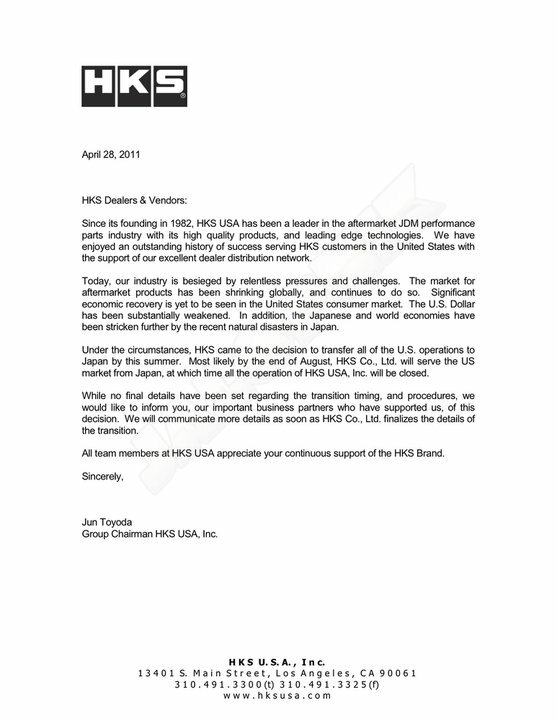 HKS USA, Inc a leader in the Japanese Domestic Market (JDM) parts industry will be officially closing their United States operations. As of today, HKS’ plan is to close their US Operations by August. However, this does not mean the end of HKS as they will still be fully operational in Japan, where they will be serving their American market from. HKS cites a declining industry, the poor U.S. economy as well as the weakening of the U.S. Dollar as reasons for their decision to close U.S. operations. You can read their official annoucement below.